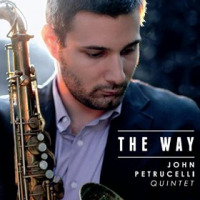 The debut release from saxophonist John Petrucelli packs a mean punch. For his first outing, this Pittsburgh-based tenor man put together a lengthy, two-disc program that showcases his writing and, of greater note, his chops. In some ways, this can be seen as a musical shock and awe campaign. 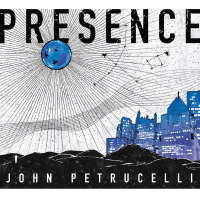 Petrucelli's muscular tenor proves to be a dominant and somewhat domineering force, steamrolling through this music and putting on shows of athleticismdarting and daring sprints, keening gusts, Coltrane-ish "sheets of sound," and the like. But with that strength comes the passion that elevates this music. Petrucelli is no vainglorious gunslinger; he's a musician with a burning desire to create and explore. Hear the way he artfully navigates his way through "I Hear A Rhapsody," an oldie reinvigorated through the use of metric sleight of hand; note the manner in which his agile tenor flies over guest drummer Victor Lewis' driving beat on "The Flip"; and observe the way he works the music up to a fever pitch during "Moment Of Grace." It's all clear evidence that Petrucelli is a saxophone heavyweight. While a good portion of this album is given up to flights of intensity, speed and fire aren't the full story. Petrucelli works with a group of musicians who assist him in creating wide dynamic and emotional arcs. "Arrows Of Light"with measured interactions between Petrucelli and guitarist Peter Park, boisterous tenor work, shadowy bass soloing, and an explosive finishproves that point, as does the album ending "Boots," a number that opens on calm waters before moving in a more resolute direction. A few minor quibbles can be made hereexhaustion can occasionally accompany the exhilaration that comes with Petrucelli's solo escapades and a little concision could've made this a stronger and more balanced albumbut some may fairly view those points as acts of splitting hairs. The truth of the matter is that John Petrucelli is an outsized saxophone talent and The Way is bursting at the seams with powerful music. Track Listing: Disc 1-I Hear A Rhapsody; Prism; Hil's Blues; The Flip; For Dawn; The Way. Disc 2- Moment Of Grace; Gallop's Gallop; Early Autumn; Arrows Of Longing; Boots. Personnel: John Petrucelli: tenor saxophone; Peter Park: guitar; Victor Gould: piano; Alex Claffy: bass; Gusten Rudolph: drums; Victor Lewis: drums (Disc 1: 4, 6; Disc 2: 3).